There are probably plenty of things that I could give away in the kitchen because I’m not the primary cook in our family and I only have a few standard menus. In order to avoid marital disharmony, however, I decided to take the low hanging fruit. (which were actually quite high) – baskets. As handy as baskets are I counted 23 of them perched on top of cabinets. 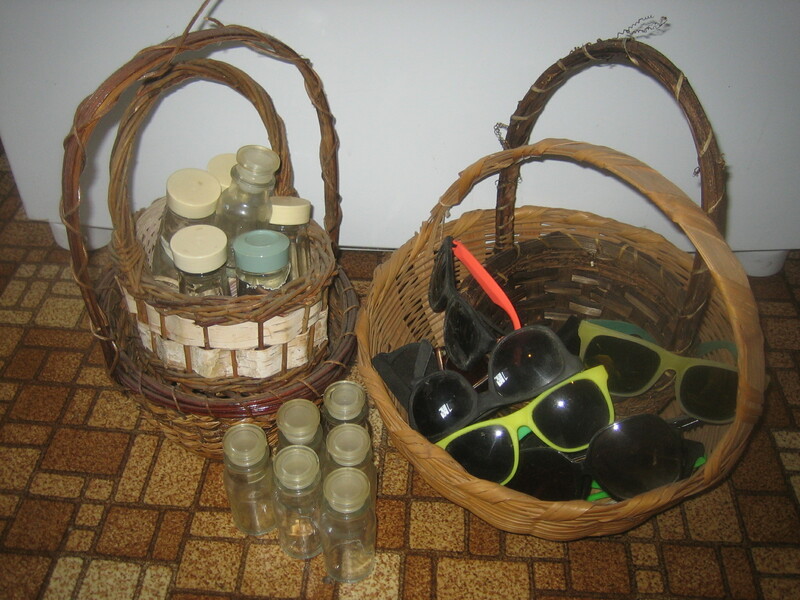 One even had 17 pairs of sunglasses in it. Who knows what I thought I would do with 17 low quality sunglasses but they were out of sight and out of mind. 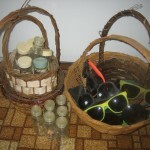 I got rid of 1/3 of the baskets and almost all of the sunglasses. I probably should have included the fondue set we got as a wedding present 39 years ago and have used perhaps five times. That will have to wait till the next round of purges. #1 | Written by Ann Hirt about 9 years ago. Just wanted you to know how much I am enjoying reading your blog. It definitely provides food for thought. Thank you for keeping this up.